our distillery to craft Rakija. Rakija is the Balkan version of Eau de vie or Schnapps. Apple Brandy starts with selection of differentapple varieties from Washington. After it is double distilled we age it in oak casks and finish in glass. This brandy can be classified as a young Calvados.It is available all year. Plum Brandy is crafted from 100% Washington grown plums. After hand selection of plums we start with fermentation which takes about a month. re-distilled.We age for six months. 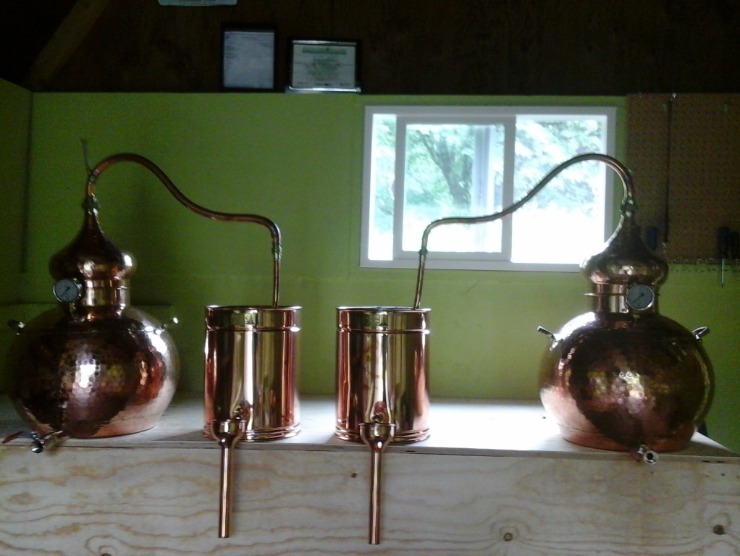 Our brandy is distilled,bottled and distributed from our farm. Fruit Brandy is blend of Apple Brandy and Pear and it is made with 100% fruit. It has a pear flavor with a nice touch of apple brandy. This brandy aged only in glass. Brandy can be enjoyed as an aperitif and also in cooking. Great people with a great "natural" product! We'll be back for sure! Office hours:10:00 a.m. to 03:00 p.m.